Moving away from home and family is a big step that most college students take. While it can be quite liberating and exciting, you might experience pangs of homesickness now and then. However, even if you are far from those you love, you can still feel at home in a Winona State housing unit. During your stay in our Winona State housing unit, you are bound to meet people from all walks of life who will make your student life more interesting. Grab the opportunity to open new doors and start friendships that can last a lifetime. When it comes to finding Winona State housing, our company, WsYOU/Bluff City Properties is a top quality provider. We can introduce you to properties that will meet your needs and exceed your expectations. However, as with every big decision, it is important to ask the right questions. While moving to a new living space for college, you may have a lot of questions on your mind. That is normal. Read ahead to learn more, and feel free to contact us with any questions on Winona State housing. How many people can I live with if I choose to reside in a Winona State housing unit? You can choose up to four people to live with you if you stay in a Winona State housing unit. In contrast, if you live in a dormitory, you won’t get a chance to pick who your roommates will be. Not all friends get the chance to live together through college. Achieve this by renting a Winona State housing unit with the people who matter to you. What kind of amenities can I use in Winona State housing units? When you live in a dormitory, the amenities you can access are limited. WsYOU/Bluff City Properties understands your needs. 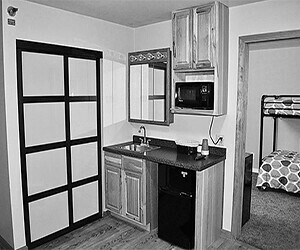 With your convenience and comfort in mind, we offer you Winona State housing units with luxury features. From kitchens and laundry areas to lounges and bathrooms with Jacuzzi tubs, we have you covered. Some of our Winona State housing units also have central A/C and off-street parking. Will staying in a Winona State housing unit cost me a lot of money? Winona State housing units offered by WsYOU/Bluff City Properties are reasonably priced, less strict, and equipped with different amenities compared to school dormitories. Living on campus may seem like a splendid idea since you are closer to your school’s facilities. However, you might be surprised to know that staying there can be quite pricey. If that doesn’t seem appealing to you, then you should opt for Winona State housing. Will it take long for me to get to school if I stay in a Winona State housing unit? Students who reside in our Winona State housing units can get to school in no time. Whether you want to walk, drive, or commute, it’s all up to you. Our office is located near Winona State University. If you are interested in our Winona State housing, you may drop by Mondays through Fridays from 8:00 AM to 5:00 PM. Can I have a pet while I stay in my Winona State housing unit? WsYOU/Bluff City Properties allows residents of our Winona State housing units to have one cat only with an additional refundable security deposit. We also permit dogs in some of our Winona State housing units. Pets in small cages or tanks are allowed at any time. How early should I reserve my desired Winona State housing unit? If you have found a Winona State housing unit that fits your preference and meets your demands, we suggest that you reserve it immediately. At WsYOU/Bluff City Properties, we allow potential residents to hold the Winona State housing unit that they like for 48 hours. During this time, you can pay the necessary deposit. Are you searching for a home away from home? Look no further than our Winona State housing units. At WsYOU/Bluff City Properties, we will always treat you like family. If you have any questions about our Winona State housing, contact us today! Click here if you want to compare and contrast the differences between a dorm room and WsYOU/Bluff City Properties. Off-campus living is an increasingly popular housing option for many students. This solution lets them cut costs and allot their funds to other college expenses, such as their tuition, school supplies, and books. However, living outside your college grounds does not automatically equal a great lodging experience. You will want to make sure you are renting a student rental house or apartment that is clean, well maintained, and functional. You can find that at WsYOU/Bluff City Properties. Find out more about the Winona Housing Task Force: https://www.cityofwinona.com/wp-content/uploads/2018/03/CITY-OF-WINONA-HOUSING-TASK-FORCE-RECOMMENDATIONS.pdf. Based in Minnesota, WsYOU/Bluff City Properties is a premier provider of off-campus housing services. We strive to meet the highest standard of off-campus living, which is why we help improve the lives of our tenants by giving them a secure, comfortable, and neat living space.